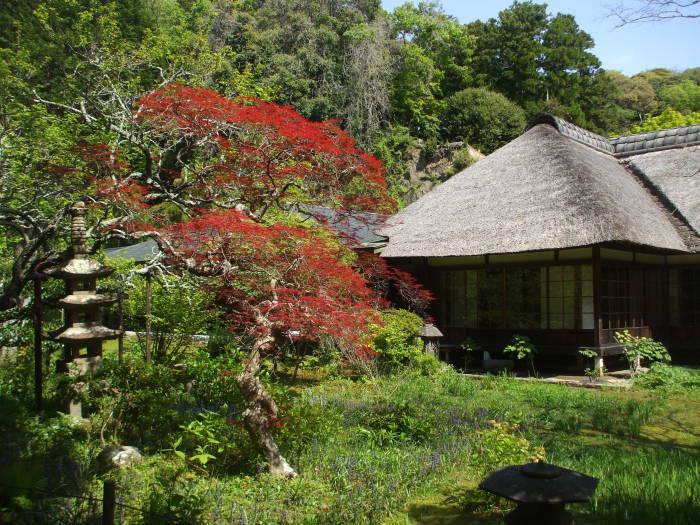 Kenpōzan Jōchi-ji was the Fourth Rank of the "Five Mountains" of Zen Buddhist temples in Kamakura. 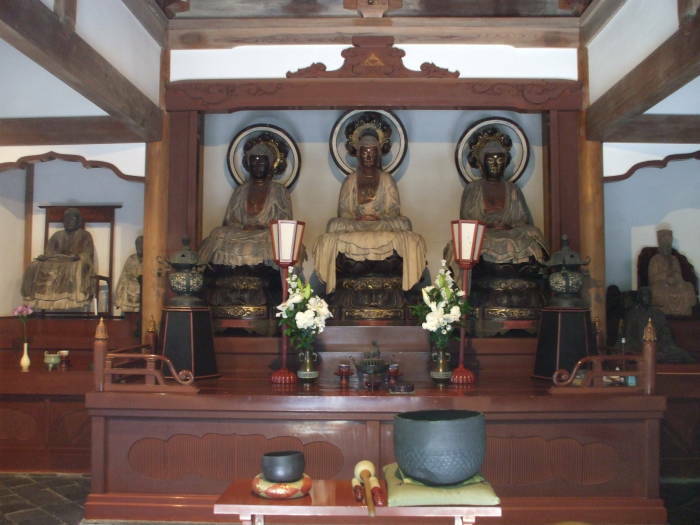 The main objects of worship are the three statues of Amida (or Amitābha), Shaka (or Shakyamuni Buddha), and Miroku (or Maitreya). in the main worship hall. 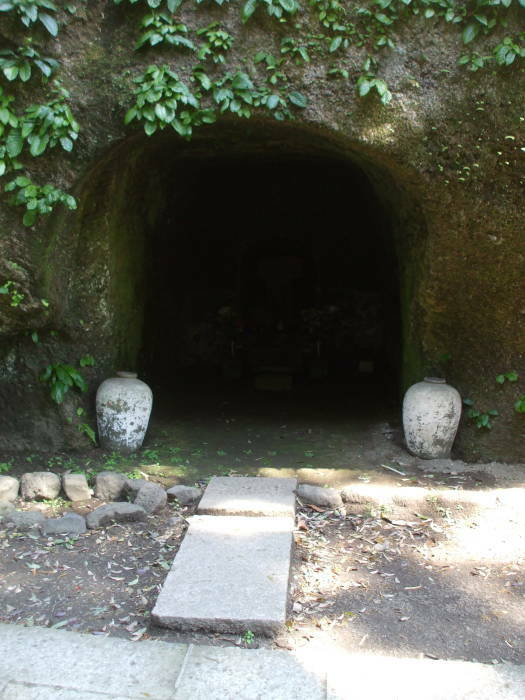 It's just a few hundred meters from the Kita-Kamakura train station, the first stop north of Kamakura. 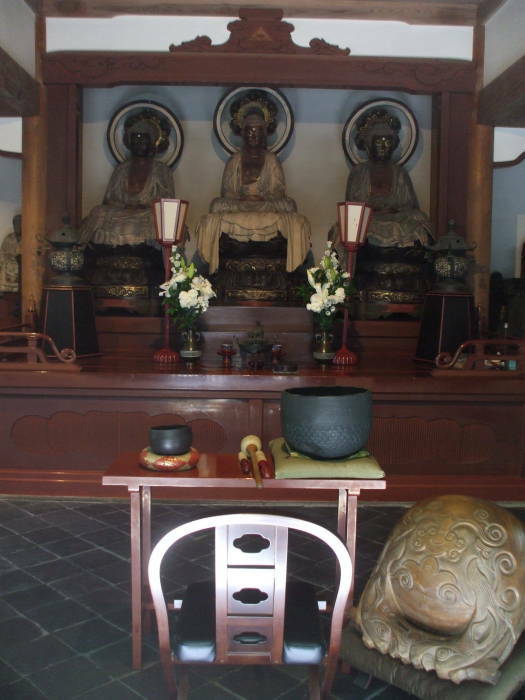 The "Five Mountains and Ten Monasteries System" was a network of state-sponsored Zen Buddhist temples. The system was established in China during the southern Song dynasty of 1127-1279. It was adopted in Japan during the Kamakura Shōgunate. 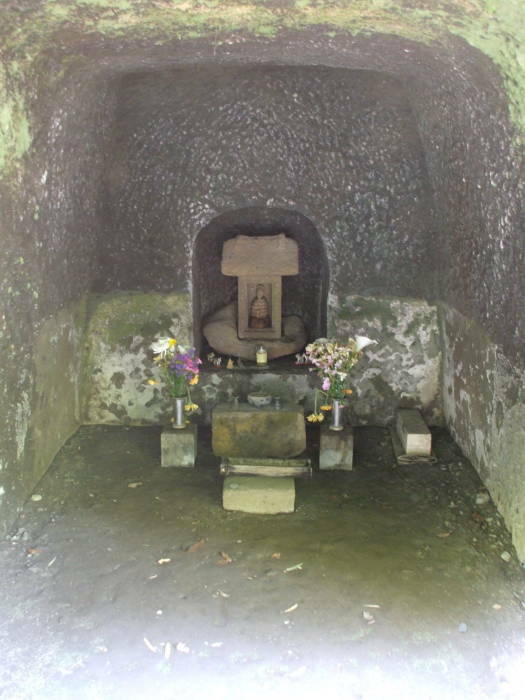 Ten "Five Mountain" temples were established, five in Kyōto and five in Kamakura. There were ten smaller temples directly under those, and a much larger number of smaller temples further down. It quickly became a governmental bureaucracy. The "Five Mountains" in Kamakura, the Kamakura Gozan, were Kenchō-ji, Engaku-ji, Jufuku-ji, Jōchi-ji, and Jōmyō-ji. Jōchi-ji used to be much larger, with 11 buildings and 500 inhabitants. 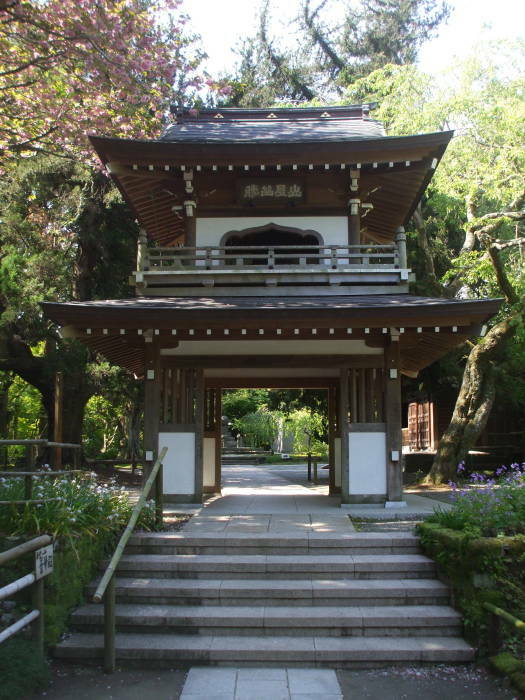 It has an unusual Shōrōmon, a two-story combination of shōrō (or belfry) as the upper level of a rōmon (or gate). Amida (or Amitābha) is the Buddha of the past. Amitābha is a celestial Buddha who possesses infinite merits resulting from good deeds over countless past lives as a bodhisattva. Shaka (or Shakyamuni Buddha), is the Buddha of the present. Shaka or Shakyamuni is Gautama Buddha, the historical Buddha. Miroku (or Maitreya), is the Buddha of the future. Maitreya is a figure from Buddhist eschatology, a bodhisattva who will appear in the future, achieve complete enlightenment, and teach the pure dharma. The statue of Shaka is probably from 1370 CE, the other two are from the mid-1400s. There are statues of two of the temple's founding priests on their right (our left), and a statue of Bodhidharma to their left (our right). Bodhidharma was a Buddhist monk of the 5th or 6th century CE who is traditionally credited with bringing Buddhism from Central Asia to China. Legend says that he founded the physical training of the monks at Shaolin Monastery, which developed into Shaolin kungfu.